Image-based 3D information can provide metrics for forest attribute modelling that are robust within the study region. This enables transferability of predictive models to other data sets of the same region without loss of accuracy. As a result, aerial images can potentially provide auxiliary data for supporting different large-scale forest inventories within a geographic region. Due to their high spatial coverage and acquisition frequencies, aerial imagery can provide auxiliary data to support large-scale forest inventories. If the methods are applicable to different data sets and forest inventory protocols, they will also facilitate harmonisation of forest inventory data. This study aims to investigate the level of transferability of such image-based methods. This is crucial for their applicability across different large-scale forest inventories. The investigation focusses on one geographic region. Three blocks of aerial images were used to generate models of forest canopies and extract 3D metrics. These were utilised for building timber volume models separately for each image block. The models were applied to the respective other blocks and the achieved accuracy of timber volume prediction was assessed. Additionally, 3D metric changes between blocks were also assessed. Some metrics were found more robust than others. Transferring models based on robust metrics achieved RMSE% between 38 and 45%, which is similar to the model accuracy. This indicates transferability of models within the study region without loss of accuracy, and there is potential for further improvement of model accuracy. 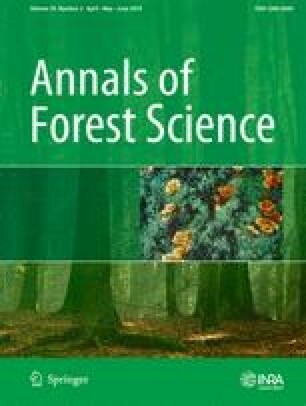 Therefore, forest attribute models based on remote sensing have potential to support harmonisation of large-scale forest inventories within the study region. We acknowledge the provision of the remote sensing data by the land surveying authority of Baden-Württemberg (LGL). This project has received funding from the European Union’s Horizon 2020 research and innovation program under grant agreement no. 633464 (DIABOLO).